I can't believe I am saying this but this is my first WOYWW of the year - please bear with me and apologies for long post! Those of you who know me and are following on other social media will know my life has changed alot this year. I still craft occasionally, but have lost my mojo big time. This has been hampered by inability to sit/stand at my desk for too long and my creativity concentration is poor. I am also supporting one of my dearest friends who has suffered greatly this year with her Depression and Anxiety. I've needed my strength to be there for her, help her by driving her to appointments and spending time with her when she's needed me. The biggest change in my life happened just over six months ago. You all know I am a massive Bristol Rovers fan - well earlier this year in conjunction with the Supporters club, they held a meeting for disabled supporters with a view to starting an Official Bristol Rovers Disabled Supporters Association. I went to this meeting and came home having agreed, along with another gentleman, to set up and run the DSA. Yep. That. Is. Massive. Secretary doesn't really cover it. 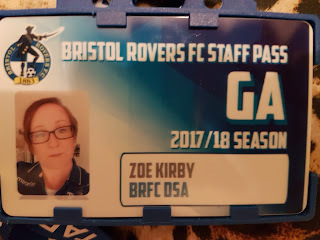 I am more like a DLO - Disability Liaison Officer/Secretary! So over the last six months we have worked hard to set up the DSA. Not an easy task. You see there wasn't anything in place. I had to set up email/Paypal, work out procedures and daily admin. Sort a bank account. Create membership. Sort a website. 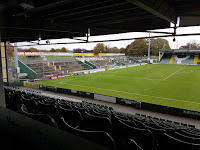 Liaise with Bristol Rovers and all other football clubs who visit Rovers. Myself and Clive (the other chap who has taken on role as Chair) have met up a number of times to plan, prepare and get things running. Which led to us holding our first open meeting in September. I am loving my role and am passionate about what I am doing. 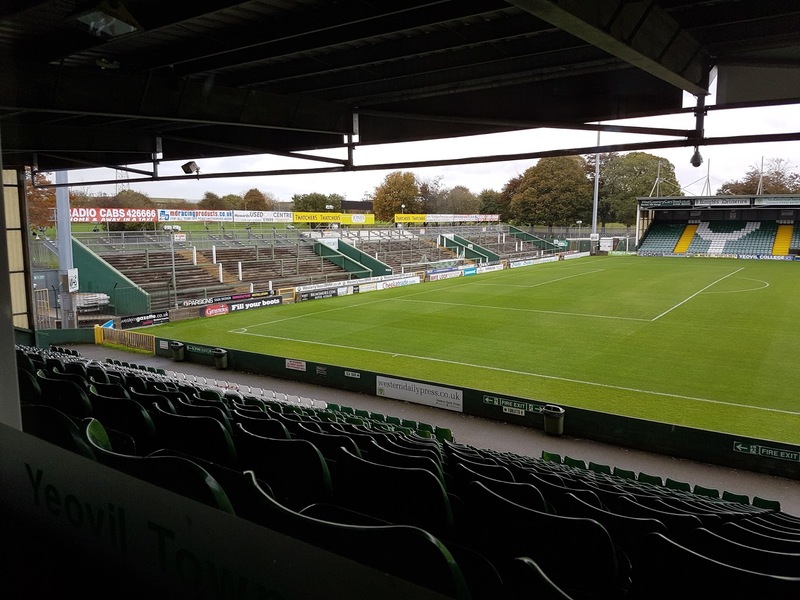 We've already made a difference - asking the club to put in place shelters over wheelchair areas, more accessible toilets and also how away fans are greeted. 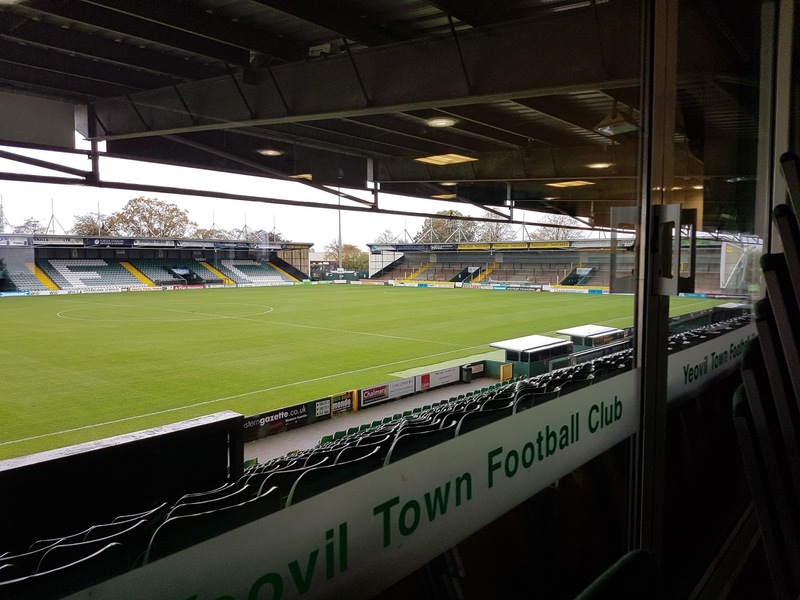 We are working with the club to ensure matchdays are enjoyable for all. There's still so much to do. But slowly we will get there. So my desk - well I thought I would share photos from my recent meetings because that's what my desk looks like these days! 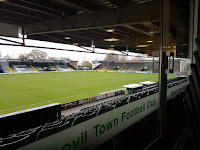 So first pics are from Yeovil Town FC. I attended a meeting that saw all clubs in the South West and South Wales being invited. Over 30 delegates attended. Couldn't resist having a pic with Yeovil Town Manager Darren Way! 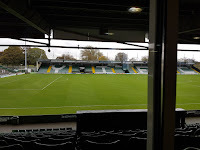 These are our view across Huish Park - Yeovil's ground. 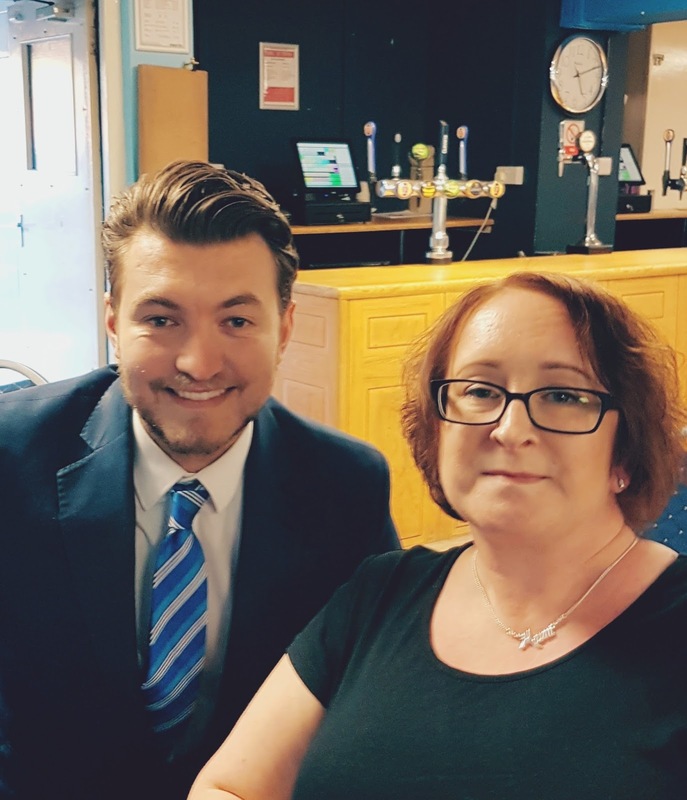 I am meeting lots of people in my role and last Friday I was invited to meet the new Commercial Director at Rovers to chat over coffee! Tom Gorringe is a fantastic guy who is very supportive of what we are trying to do. In between everything I am resting up as this takes a huge effort on my part. But I wouldn't change it. I feel my confidence and self esteem have both positively increased. I feel confident I can go into any meeting or event and be able to hold my own. In fact, I have been asked to speak at a meeting at the end of the month. 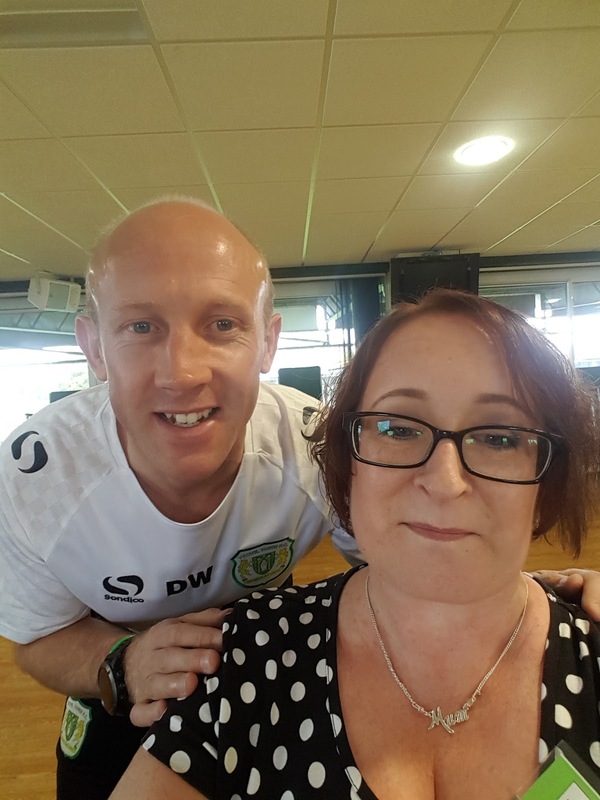 It's a networking meeting for businesses owned by Rovers supporters. Of course, in between all of this I see my boy, Keagan. He has finally passed his driving test so can come home by himself. However he has a horse now that he is training ahead of the new Point to Point season starting so I only see him once every 2 -3 weeks. Right that's me. Will pop round to see you all over the next few days. I am SO proud of you! What an achievement you've accomplished over the past few months... I take my hat off to you Zoe, for all the organisation and setting up, not easy at all. And you will make such a difference to the disabled fans to come to matches. You deserve a medal. It’s so good to see you joining in this week and hear more of what you’ve been up to. Of course I see lots of it on Facebook but I don’t always have time to read it all in detail on there. You are one impressive lady. You not only cope with your own problems but you do your best to make life easier for others...and I’m proud to call you my friend....although of course as yet we’ve not met in real life. Keep up the good work and rest when you can. Zoe - that is just wonderful! Many, many congratulations on all that you have achieved in this past twelve months. You have done so much - I'm so thrilled for you. And at the same time, you are supporting your friend who so desperately needs your company and help. Well done. Take care dear girl. Look after yourself in all this. God bless. What a star you are Zoe!! Well done on taking on a role which really does mean pushing yourself so much harder than many have to. No doubt it's hugely appreciated - proud of you kid! Well done for taking on such a role. It needed someone like you to do it justice - good on ya gal! I hope you continue to enjoy doing all this work which I am sure is massively appreciated by home and away fans. Great news about Keagan having his own horse, you must be so proud of him and he of you. What a great fduo you two are. Wow Zoe. WOw. Your work and experience will be a benchmark and template for other clubs. Am immensely proud of and for you, there you are, MAKING THE DIFFERENCE. Well done. Most delighted that despite the effort you have to make, you're enjoying it. Typical of you to find the extra % to give everyone. Wow that's is quite a position you have, it's fantastic how you are making a difference! Zoe, you are totally amazing... I am in awe of what you are achieving, considering the physical constraints you live with daily. I am a lot better off physically but don't manage a fraction of what you do!! Congratulations indeedy on your appointment! Also to be caring for your poor friend too - she is blessed indeed to have such a friend as you. I am not surprised you've been absent from WOYWW for a while, with all that you've been up to. Congratulations to your son too - that's great news. Thank you for your lovely comment and I do try to follow your excellent advice to take each day at a time and rest when needed - I seem to be doing a lot of that at present! Having another rough day today and still in my kaftan... So glad you like our kitties. They are a great joy and such fun, and they are growing fast, but as my hubby says, not growing UP lol! They can be naughty babies. We lost our 2 old ones 3 weeks apart in the early summer and got these 2 little scamps at the end of July. 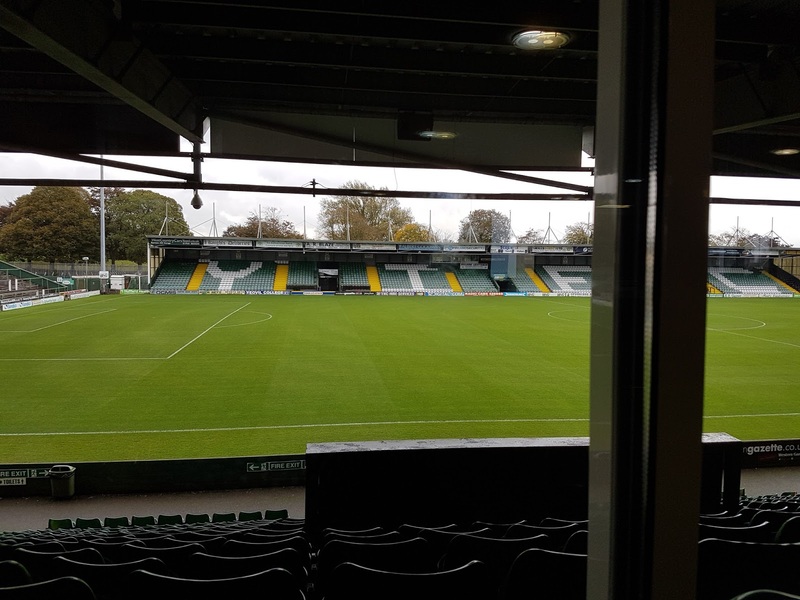 It's good to see you back desking again, and what a fantastic opportunity for you - no wonder your mojo is having a break with all that going on! Good for you, waving the flag for people with disabilities. I hope your friend is beginning to cope with her illness, it's very debilitating and she is so very lucky to have such a caring and understanding friend as you. Hope you have a great week and well done to your son too - what a happy, uplifting post this is! Hi Zo, Well you have been busy. I'm sure your friend is very grateful for all your support. 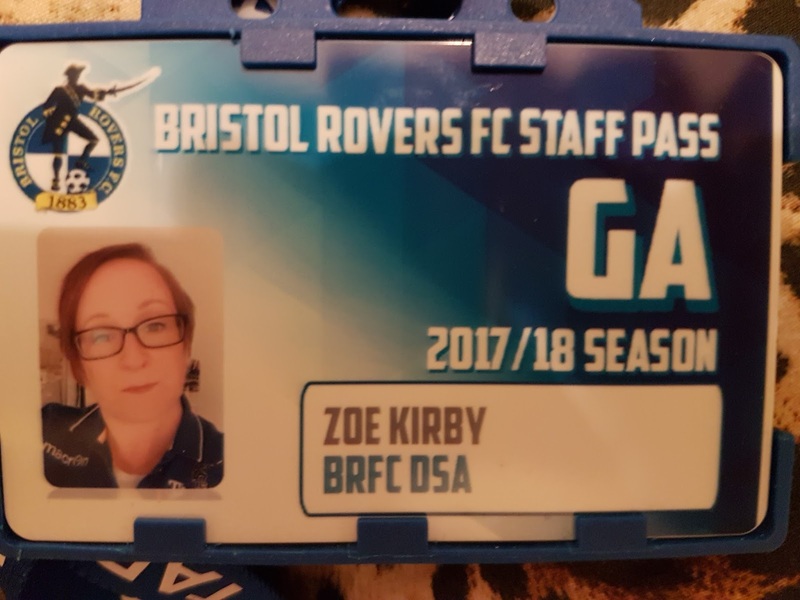 Your role at the football club sounds great. Wow Zoe, your life has certainly ramped up a few notches and what an amazing role you have. Couldn't of gone to a better person. Love the pics. No wonder you have no time to post and that is such a great achievement. Nice you are able to help a friend; Very lucky to have friend like you. Please pop in whenever you can and let us know how you are doing. Thanks for visiting me I am soooo late this week.